Hooray! Our Solar System Jewelry series has been featured by BuzzFeed, The Planetary Society, MAKE: NASA, and NPR's Science Friday! Pendulum earrings with natural, high-grade gemstone and shell beads representing our lovely neighbors Jupiter and Saturn. 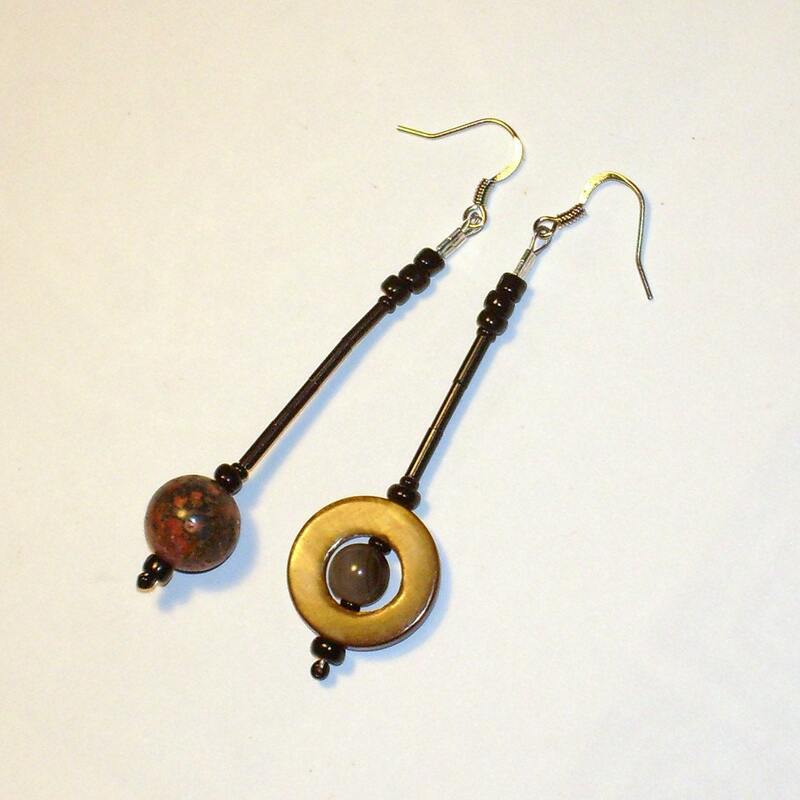 Although the shapes of the planets are different, the earrings are equal in weight and length. The Jupiter and Saturn earrings are even more beautiful in person than they are in the picture! Love them! Love them! Very well done! I get to wear my favorite planets now!